Donald L. McFeaters, 80, of Harrisville passed away January 16, 2018, at home with his family at his side. Born November 5, 1937, in Cleveland, Donald was the son of the late James and Louise McFeaters. Donald drove truck for a living. 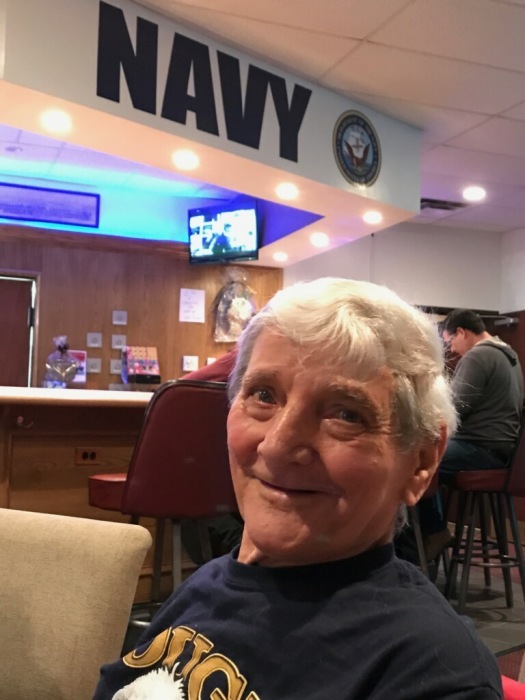 He served in the US Navy and was a member of the American Legion Post 220 in Mercer. Donald enjoyed spending time in his garden and talking to anyone that would listen. He loved watching NASCAR, was a huge Dale Earnhardt fan and proud to say he met Tony Stewart. Loved ones left to cherish Donald’s memory are his wife Sandra, his children Joseph McFeaters of Oil City, Jeffery McFeaters of Polk, Janet McFeaters-Boyd of Polk, Joyce McFeaters-Swisher of Mercer, Crystal McFeaters of Prospect, Terri Smith of Oil City, Tina Downs of North Washington and Tanya Downs of Boyers, a brother Richard McFeaters of Colorado and 17 grandchildren. Along with his parents Donald was preceded in death by his daughter Traci Downs Hindman, his brothers James, Robert, Roger and Franklin Eugene McFeaters and a sister Margaret (Peg) McFeaters-Alcorn. The family will receive friends from 3 to 4 pm Thursday January 18 at the Jamison-McKinley Funeral Home, 117 North Main St., Harrisville, PA. Funeral services will be held Thursday at 4 pm in the funeral home. In lieu of flowers the family request memorial be made to the American Legion Post 220, 1946 Mercer Grove City Road, Mercer PA 16137. Friends can email condolences by visiting www.jamisonfuneralhome.com.